Erin Rodoni is a writer, editor, massage therapist, and mother. 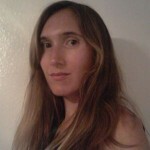 She was the recipient of a 2013 Intro Journals Award from AWP and holds an MFA in Poetry from San Diego State University. Her work has appeared in Best New Poets 2014, Tupelo Quarterly, Antiphon (UK), Colorado Review and Verse Daily, among others. Erin is a former poetry editorial assistant for Literary Mama.